The evolution of the fitness tracker has reached a critical point. We've started to move away from smarter pedometers that simply count steps or log the hours spent in bed. Now it's time to take that flood of data and really put it to good use. Fitbit's latest software update now means its trackers pay closer attention to sleep to provide useful recommendations. It proves that even the leading wearable brand accepts it's time to do more and make the tracking experience more personal. The good news is that there's already devices out there that can provide those insights on the spot. The coaching wearables are still very much in their infancy, but their presence continues to grow and that's definitely a good thing. The challenge is to draw users away from their smartphones to get that coaching and one of the ways that can be done is by channeling insights to the ears. As we witness the birth of fitness focused hearables including the Bragi Dash and Samsung's Gear Icon X wireless earbuds, we've spoken to three wearable makers that place a big emphasis on coaching and another that wants to take that coaching, specifically from the ears, to a whole different level. We're big fans of the Moov Now, a wearable you can wear on your wrist or ankle to track activities which include running, cycling, swimming, boxing and bodyweight training. It's firmly a coach first and foremost and an activity tracker second, barking out instructions to help improve form and ultimately getting the most from a workout. Erick McAfee, head of business development of Moov told us why getting that voice coaching element was such an integral part of the process. "I'd say the things we spent the most time on was the engineering and on the software side," McAfee explained. "We interviewed, spent time with division 1 coaches, personal coaches from all different sports to figure out what they sought out to train their athletes with and the correct form. We just kept thinking, if we don't coach our users correctly through the exercises it could eventually lead to injury." McAfee places great importance on that research revealing how it helped the Moov team to learn about aspects such as running form or what it needed to do when fatigue kicks in during a boxing session, moving the blood away from the shoulders so you can lift your arms to start punching again. Getting the specific phrases from those coaches and experts into the software was vitally important as well. "Literally, we were taking coaching advice from the coaches and we were using verbatim," he said. "We spent time with four different running coaches. Out of those four coaches, two specialised in sprints and two specialised in long distance, marathon running. So obviously there's very different techniques for running to deal with. We took their advice and used it in the software." While many might claim that coaching can be done away from wearables and just with your phone, McAfee is not so convinced. "I know there's a lot of apps out there that provide coaching. I wouldn't really call it coaching but more instructions. It's just telling you what to do. We are the only one that tell you what to do and tell you if you're doing it correctly or incorrectly." Zepp is another company that places a strong emphasis on coaching and improvement. Whether that's for its golf, tennis or baseball sensors, it has the same aim. To use the data it can track to help users make changes without the need for a coach to be by your side telling you how to do it properly. Patrick Shea, product manager for Zepp's golf division echoes a lot of what Moov's Erick McAfee has to say about what's required to get this coaching element right. "We spoke to our users to get feedback on what they want both remotely and live," Shea told us. 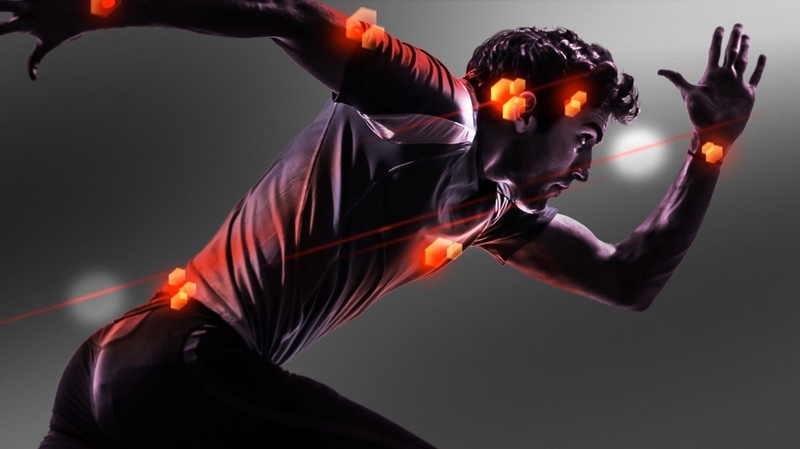 "We looked at all of the wearables coming out with all of this data and we thought so what? We know a lot of golfers have the DIY approach and won't be with a coach when they're playing as they try to work on it on their own. "A lot of people would get data and then search for relative content on YouTube, on the web or even take it to a coach. What's changed for us is that we can feed you content with whatever problem you're having." Zepp's ecosystem still relies on having your smartphone or tablet nearby to analyse and hasn't yet given any indication that it could go down the hearable route. But Shea acknowledges the importance of the work that needs to be done on the delivery and the execution of the coaching and how it's communicated to the users. He also feels Zepp's approach remains unique and that it's still learning what works best. "There's a ton of fitness apps and training apps but none of them are measuring or giving you the data to help you get better. Your measurements need to be right. One thing I'm really proud of is the fact that we are measuring what we can measure." And so to what's next. We can do the tracking, the real time coaching is now possible. It just needs something to tie them them together. One device that feels it's capable of doing that is Vi. Developed by LifeBEAM and currently more than $700,000 (and counting) into a Kickstarter campaign, the self-learning 'hearable' also wants to be a personal trainer. With aerospace-grade biosensors including heart rate and heart rate variability, motion sensors, it packs in an AI coach that can interpret the data to deliver actionable insights such as weight loss optimization, injury prevention, running technique, stress levels and a whole lot more. LifeBEAM's CEO Omri Yofee believes it's created the "Her experience for the fitness industry", in reference to that Joaquin Phoenix film about AI. Yofee explained to us that after two to three training sessions, the Vi AI coach has listened to the user enough to begin getting a better understanding of who you are. Then it can start to provide advice to help you reach your goals. With his belief that the ear is a better place for collecting biometric data than the wrist, he also explained the process of creating the perfect voice element for its AI coach. "We spent two years of downloading lots of human intelligence and artificial intelligence data," Yofee told us. "We interviewed hundreds and thousands of consumers and trainers to ensure that the language and the experience was refined. We did a lot of vocal testing. "Most people think it's just about the technical side. Half of the challenge is having the Vi persona that is compelling, warm and positive in the way we are coaching people. We tested over 100 voice actresses. We do a lot of usability testing, bringing consumers to listen to it and train with it." While Yofee wouldn't be drawn on talking about the current hearable competition, he does believe in the value of getting that audio feedback right and is an integral part of the formula for making a coaching wearable successful now and in the future. "It needs to be a holistic approach," he said. "If we want to know how to change people's habits and lives, you really need to know how to analyse and extract accurate information. We really believe that's what we are going to do with Vi."